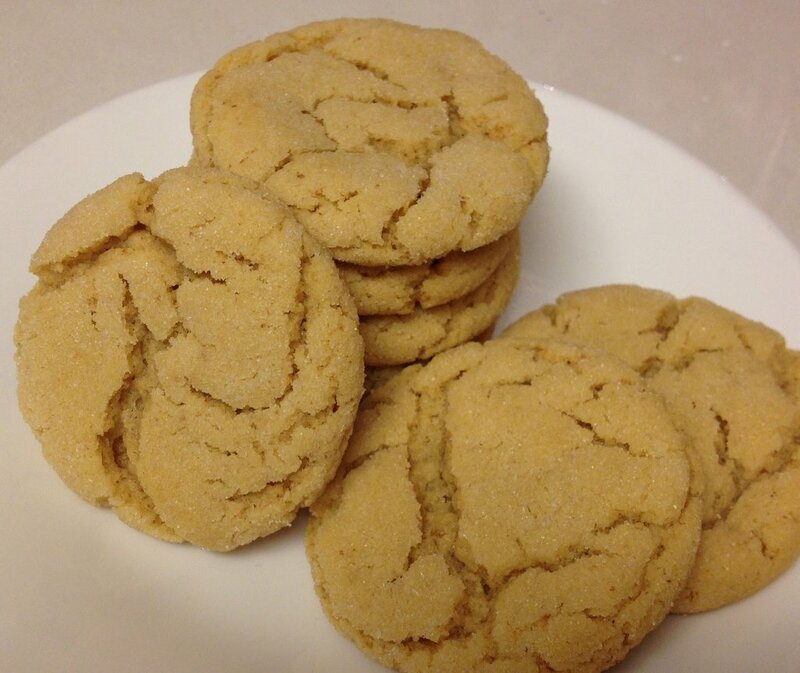 My Peanut Butter Cloud Cookie recipe is adapted from a Hawaiian Cookbook given to my family when I was 13. These cookies are literally the best peanut butter cookies ever. As you can see from the picture, I don’t like the crosshatch fork marks on the top. I prefer letting the cookies flatten on their own during the baking process! This is an altered double recipe, so I wouldn’t recommend halving it. It makes about 70 cookies, but trust me, you’ll need that many. As with all the recipes I make, these cookies are freezer-friendly! I specified the butter and peanut butter brands that I use. If anything, the peanut butter makes the greatest difference. I used to use crunchy peanut butter, but creamy works best. I like the flavor of the Adams® Natural Creamy peanut butter. I’d recommend pouring off a little of the oil before stirring it into the peanut butter. Today’s song is from Mary Poppins, “A Spoonful of Sugar” sung by Julie Andrews. 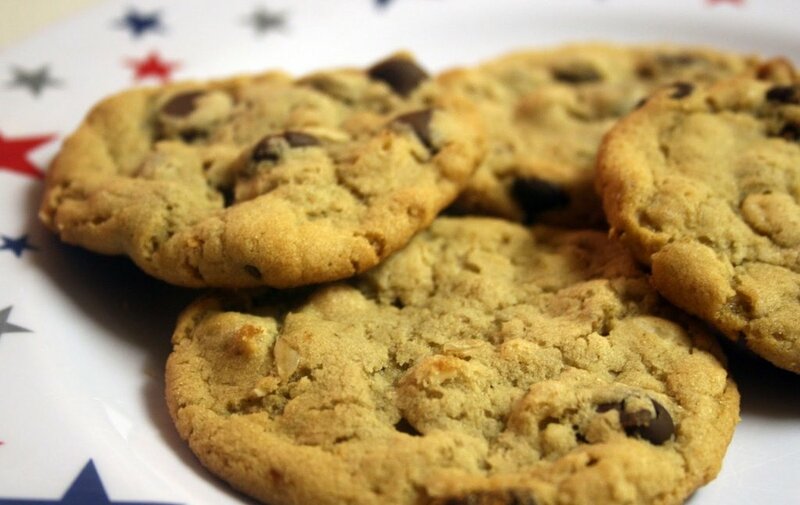 There’s a lot of sugar in these cookies, but well worth it! Preheat oven to 350 degrees. Place parchment paper on uninsulated cookie sheet. Set aside. Cream butter and peanut butter until light in color. 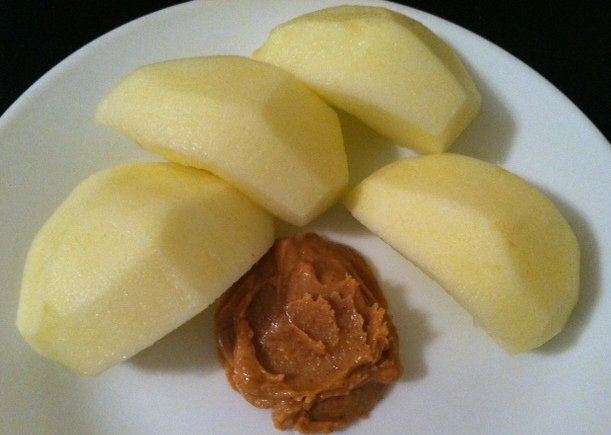 Mixture will look grainy from the natural peanut butter. Gradually add 1 cup sugar and powdered sugar. In a separate small bowl, stir remaining dry ingredients together minus 1/2 cup sugar for rolling. Gradually add to creamed mixture. Shape into one-inch balls and roll in 1/2 cup sugar. Place on cookie sheet lined with parchment paper. Bake 10-12 minutes. Cookies will look shiny in the cracks even when done. Remove cookie sheets from oven letting the cookies cool on the sheets for 1-2 minutes then remove them to a wire rack to cool completely. Note: these cookies brown extremely fast on the bottom so don't leave the cookies in the oven too long. Makes about 70 cookies. I make very small cookies, so if you make bigger cookies, you'll get about 50 and bake them a little longer. Variation: To make "blossom" cookies, place an unwrapped Hershey's® Kisses or Hershey's® Baking Melts on each cookie during the last minute of baking time. To store, place cookies on cooled baking sheet and place in freezer until frozen. Then layer cookies between waxed paper in a food container to prevent cookies from sticking to each other.